Thursday, January 24th 2018, 7pm SomoS presents a new Peer to Peer Project Feedback Session, this time hosted by curator Anastasia Leonova (Ukraine). The session is open to artists, curators and creatives of any background who would like to receive feedback on their work. somos@somos-arts.org. We will send you a confirmation back. 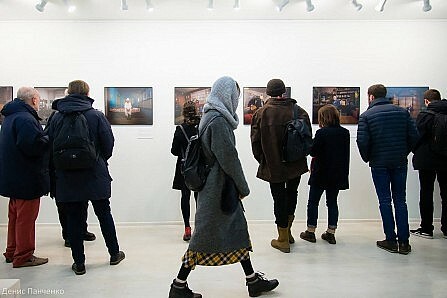 Opening of an exhibition curated by Anastasia Leonova. Anastasia Leonova is a curator from Kharkiv, Ukraine. She is the founding director and curator of Come In Art Gallery in Kharkiv, Ukraine since its inception in 2014, where she has produced more than 34 exhibitions focusing on contemporary concerns in fine art by emerging artists across all mediums. Leonova graduated from V.N.Karazin Kharkiv National University with a Bachelors degree in sociology before going on to further studies with a masters degree from the department of history and theory of art at Kharkiv State Academy of Design and Fine Arts. While staying at SomoS in Berlin in 2018, Leonova researched migration and alternate ways of feeling attachment. The results are presented between January 23 – 29th at SomoS in her curatorial project A Place Called Дom, featuring photography and video by Doro Zinn, Stephanie Steinkopf and Tatiana Hahn.